This is why nobody in my family is allowed to drive (and preferably not ride in) any compact or subcompact cars. It's simple physics. So to answer the OP's question. Yes I have always bought at least a midsize car, even when a compact car would fit my needs. Many of them share similar 4 cylinder engines now and don't have a fuel economy penalty anyway. How exactly do you enforce that paternalistic rule? Oh man. 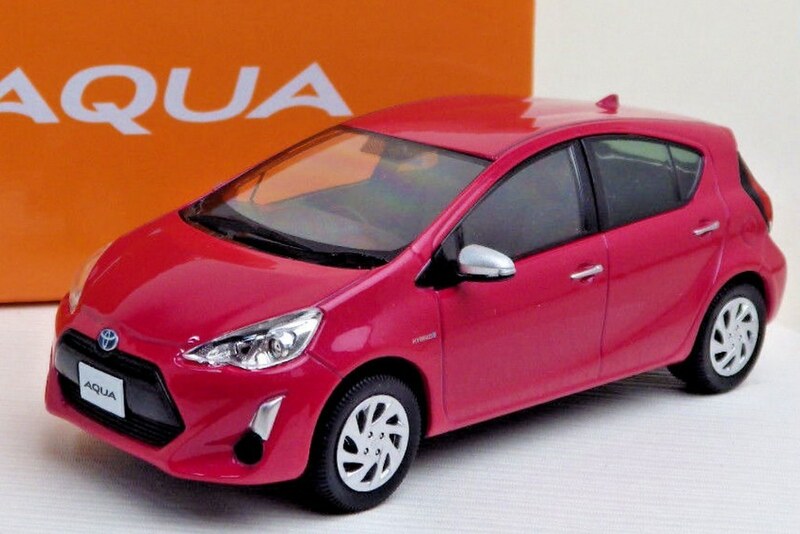 I just purchased a little Prius C. It's adorable and fun and makes me feel like a kid again. That's a real good feeling. Fact is, you can only do so much to mitigate risk in this life. A healthy lifestyle will probably do more to insure longevity than anything else. I knew a woman that was almost obsessively worried about automobile safety. I don't know what happened in her past, but it was an obsession. She warned her kids endlessly about safety on the road and the safest cards. She was exiting her car one day when a drunk driver came out of nowhere and killed her instantly. There's not but so much we can do to safeguard our well-being. There are regional differences too. Avoiding accidents is a lot easier in Alhambra, Illinois than it is in Boston, Massachusetts! Yes, I have, but it's not the SUV etc, it's just the numbers of idiots on the road. What I drive now, has already saved me from one drunk driver, so I'm keeping it. I think what I'm trying to mitigate is unnecessary risk. Of course there is an innate risk to everything in life. Everyone is free to make their choices for themselves about acceptable risks. Just my opinion on the topic. I live in TX, and drivers here drive fast, and very aggressive. I know a lot of people from other states say that, but I've yet to live in a state that has drivers as aggressive as we do here. Chalk it up to multi lane highways, high speed limits, and a lot of distance between destinations I guess. There's also a ton of trucks and SUVs. It didn't use to be such a big problem when trucks were "normal" sized, like a 90's F150 for example. But now they're all getting bigger and heavier. I have a sedan and a sportscar. But my wife (who drive our 4 yr old around all the time) has one of the safest SUVs money can buy and it's built like a rock. I'm not worried for them in that vehicle, and it's also faster than a lot of sports cars, so she doesn't get bullied on the road. This is simple physics, a larger vehicle has more energy so when it meets a smaller vehicle the smaller vehicle and the passengers in it absorb more energy of the accident. All other things being equal you will sustain more injuries in a smaller vehicle. Higher vehicles like trucks and SUV's have higher roll over rates and those types of accidents have much higher fatality rate, they are a relatively low percentage of accidents. The other issue is who is driving the vehicle. A Mustang may have higher fatality rates than a Prius but that isn't because the Prius is a superior car. Generally speaking the safest vehicle to be in is well designed large sedan with someone driving who is not an idiot. I’m not a senior but all my cars have been manual 2 door coupes/sports vehicles. The notion that I need to sacrifice my personal passion for manual sportscars in exchange for a monster truck or SUV in the case of an accident is hilarious. No thanks, I don’t drive like a maniac so I don’t need additional protection. Might as well tell passionate motorcycle owners to stop riding because it’s too dangerous compared to owning a truck as well. I recently bought a fun car, a g37 convertible. It weighs a beastly 4100lbs (slightly less than my Rx350), and other than being lower then all the CUVs I'm surrounded by on the road, I feel safe in it due to its shear weight.